Collegium Vocale of Saint Louis was founded in 1996. CVSL enjoys presenting historically informed vocal chamber music of the 17th and 18th centuries for St. Louis area audiences. The core group of six singers performs with historic instrumentalists in architecturally significant spaces. 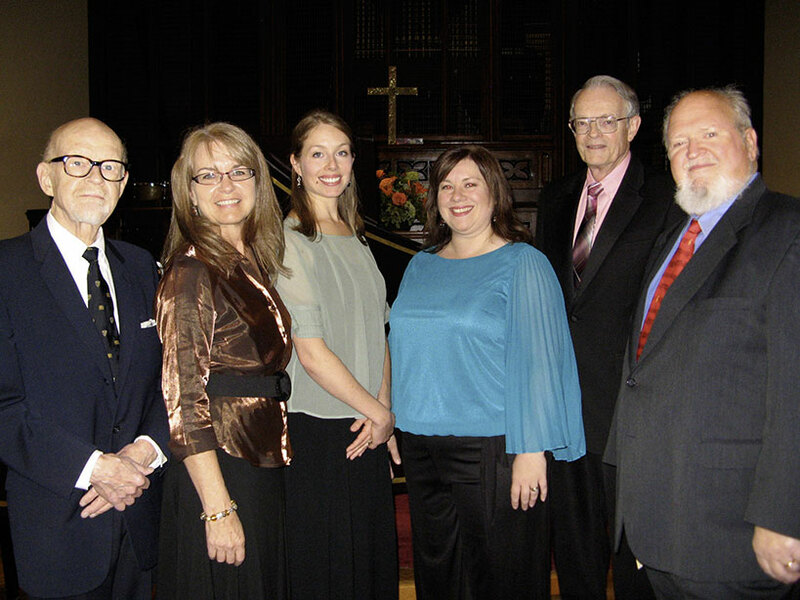 The Collegium Vocale of St. Louis is a musical ensemble dedicated to presenting programs of vocal chamber music of the Baroque Period (roughly 1600 to 1760). It strives to entertain and educate our audience by presenting programs of music drawn from the rich musical heritage of one of most stimulating periods in the history of music. We draw upon the most recent research into performance practice and use historical instruments or modern replicas in our performances. We further provide additional information to our audiences in the form of extensive program notes and occasional pre-concert lectures. In 2016 Collegium Vocale of Saint Louis celebrated its 20th anniversary!